Gender Conception: Gender refers to the socially constructed roles and responsibilities of women and men, in a given culture or location. 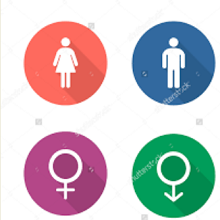 These roles are influenced by perceptions and expectations arising from cultural, political, environmental, economic, social and religious factors, as well as customs, laws, class, ethnicity and individual or institutional bias. Gender attitudes and behaviors are acquired and could be changed. AAiT Gender Office has duties towards working on enhancing and supporting gender equality operations under the Managing Director Office. The Office is responsible for sensitizing gender equality among the Institute’s community. It works to create an environment where no gender stereotype exists and where all females are fairly represented in all areas of the Institute’s businesses at all levels of academic units. Currently, the office is led by a Gender Coordinator. The office has a direct working relationship with the gender office of Addis Ababa University. We welcome all who are interested to join our office to combat gender inequality and support the success of our students. Accountability: AAiT Gender Office is accountable to the Managing Director Office. Lead AAiT towards being an institution where both genders are fairly represented in all areas of its activities. Initiate and/or strengthen services to groups with special needs. Carrying out retention and remedial programs.